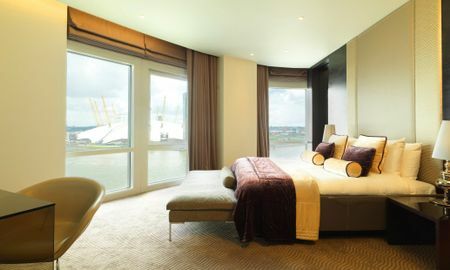 Radisson Edwardian New Providence Wharf directly overlooks the River Thames and offers stunning luxury furnishings and a great location near the O2 Arena and many other attractions. 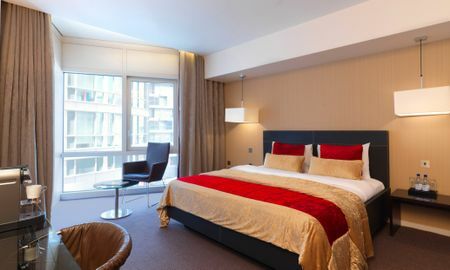 This chic luxury hotel guarantees pure relaxation and recreation. 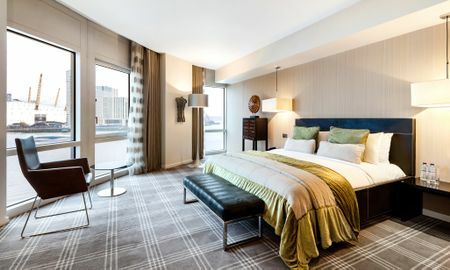 A Complimentary wireless internet connection is offered throughout the hotel and the rooms have a minimalist design and ultra modern amenities waiting for you. The business facilities leave nothing to be desired when it comes to the execution of your meetings or events. 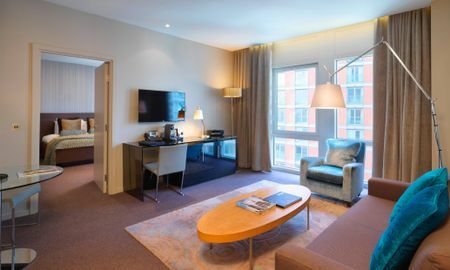 The metro station Canary Wharf and London City Airport can be reached from the Radisson Edwardian New Providence Wharf quickly and easily. Enjoy an afternoon in the luxurious East River Spa, which offers, among other things, a magnificent stone oven sauna, steam room and a relaxation area with panoramic views. The Restaurant & Scoff Banter Canary Wharf has its own terrace overlooking the river and offers spectacular views of the River Thames. London’s Canary Wharf is a lively area, located near the city center and home to many major international firms, including: Allen & Overy, Bank of America, Barclays Capital, BP International, Chevron Texaco, Citibank, Citigroup, Clifford Chance, Coutts & Co, Credit Suisse, FSA, HSBC, Kilpatrick Stockton, KPMG, Maersk Company, Morgan Stanley, Oglivy & Mather, Skadden, Arps, Slate, Meagher & Flom, Swiss Stock Exchange, Telegraph Group Limited, The Bank of New York, The McGraw Hill Companies and Trinity Mirror. All guests are required to provide a government issued photo ID at check-in. 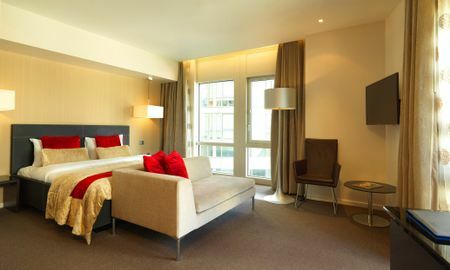 Payment for accommodation charges is required upon arrival as well as a credit card pre-authorisation for incidental charges. 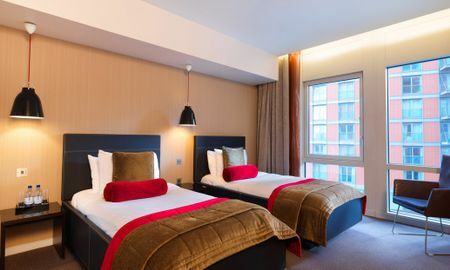 The £15 credit offered for the Deluxe room and above is not available for use on breakfast (including room service). For prepaid bookings, credit card used for payment must be present at check-in. If you are booking for a 3rd party please contact the reservations team.